I understand that your car may encounter problems unexpectedly. That is why I offer emergency Sacramento Mobile Mechanic services. Trust me to go to your location as quickly as possible to help you get back in the road in no time. To keep your car in its optimum condition, regular maintenance is a must. This helps you avoid car problems and ensure you and your family a safe trip. Most importantly, preventive maintenance is one of the biggest ways vehicle owners can save money in the long run. While you can do basic stuff on your own like making sure your lights are working or checking the air pressure in your tires, it’s still best to ask for the help of Sacramento’s Best Mobile Mechanic. 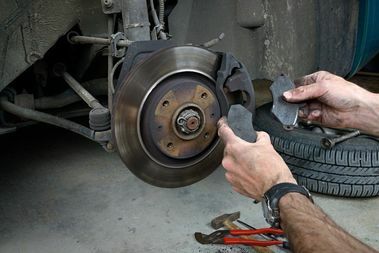 I provide auto maintenance services such as regular oil change, normal tune up and regular fluids flush and winterizing. For individuals who plan to buy a pre-owned auto, I am also available for a used car pre-buy inspection service. Trust me to execute a comprehensive checkup of the vehicle you’re eyeing for and report to you whether or not it’s still worth a shot.